1. The defense only works as an elite unit when we can force them into our strengths, for that to happen they need a lead and that is something the offense did a very good job of on Monday night, however the offense still needs that killer instinct to get one more score and put teams away for good. 2. This will probably be the biggest challenge for the defense in terms of matching up, Von can pretty much take the entire side of his boundary away from the run game. The defense really got hurt by Davis over pursuing runs last week allowing Gordon to cut back up the hole. The defense looked much better with Nelson in there IMO but if the Cowboys get Elliot going for big chunks we are screwed. 3. Use home field advantage. Mile High was rocking on Monday night and certainly should be on Sunday. We actually did a pretty good job keeping the momentum for 3 quarters, and it's a game of runs but it would be a nice change to put teams away in the 4th and not just survive them. From the offensive side we need to run right at Lee. He is near Vons level in terms of running down the backside of running plays but is decidedly average when ran at. They are a speed based D and want to play cover 2. since they have so much speed they do a great job of disguising their looks pre-snap. This will limit Trevor's ability to make changes at the line. It will put a big onus on McCoy to create advantages schematically. I'd like to see a lot of unbalanced formations that force them to play man. Things like 30 Zebra (3 WR to one side, 1 TE, 1RB) and 20 I (2 WR to one side, I formation) especially with JC or Henderson in who can run some wheel routes. Really anything that makes them commit pre-snap. Anyone know if Leary is playing? I'd love to see him get some nasty blocks on his former team. 1. I think we get the cowboy at a good time. Our DL is fresh and should have the energy/health to grind all game. 2. Less tape on DC Woods style, I was listening to Nick Hardwick and he noted that the Chargers were thrown off by some new looks Woods implemented. 3. Scandrick is out it seems and he means a lot for them. It doesn't sound like Leary is playing. Really this game comes down to our front seven being able to stop Zeke Elliot. Our secondary can match up against their receivers and I'm not at all worried about Talib taking on Dez, he's exactly the type of big, physical CB that gives Dez fits (think Josh Norman) and they don't have anyone else that worries me in the passing game. Moreover, QBs usually struggle against the No Fly Zone the first time they face them, the lone exception that comes to mind is Matt Ryan last year but I chalk that up to how brilliantly Kyle schemed that game. Like BF07 said in the OP I think it's important we get an early lead and force Dallas away from playing the kind of clock control game they prefer. Even though it's not really his style, I think it would be smart for McCoy to script the first 15 offensive plays, and use a ton of variety in those 15, and see how Marinelli responds to each. As Josh said in his brilliant post, the Cowboys defensive scheme is very simple and it's not a unit littered with All Pros, but they are able to execute at a high level. I think if we can get some early scores and at least contain Elliot, we can win this game. I'm not picking against this team at Mile High right now. I'll believe someone comes and wins in Denver when I see it. I usually listen to clay travis, and Colin Cowerd nationally because I truly believe that they totally believe everything they say it's not just click bait. With that being said Colin picked 5 games this week and dallas over denver was one. And he just starts to annoy me. He watched the late game last monday and still says denver will lose because we have a below average qb starting. And Dak who he's been wrong on has 9 tds 0 ints against the afc, and a 129 qb rating. Thats a small sample size against 1 division. Which is all hogwash because Dallas last year faced the Afc North who as a whole was the worst they've been defensively in a long time. Heck look at the Ravens and how they attacked the draft. If Dallas wins it will be because their ground game just wore down denvers front 7 over 4 quarters. 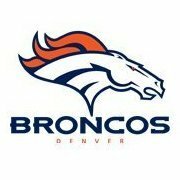 I'm expecting a great game 27 24 Denver. I think Dallas takes this one, honestly. It will be close, because rarely does Denver get blown out, and even more rarely does it happen at home. Dallas has an elite run game, and I'm just not sold on our DL at this point to believe they can hold Zeke. Denver also has historically had a bit of trouble with mobile QBs, and I could see them selling out to stop Zeke at the expense of issues with Dak. I could be wrong, but we'll see. On the flip side, the Giants had a god awful gameplan to attack the Dallas secondary. Denver can expose them far better than the Giants were attempting to. I think Siemian can have a halfway decent game. Rod Marinelli is an underrated DC, but we have the WR strength to go after their CBs, particularly with Scandrick out with a broken hand. I'll say it's a back and forth affair but ends up 24-21 Dallas, although I'd love to be wrong. Stopping the running game is obviously the biggest key to this game. If Denver can't control Elliott and Prescott then Dallas will control the clock and the scoreboard. It's really as simple as that. Now that doesn't mean they have to outright shut the running game down, but they need to control it within reason if Denver wants to stand any chance in this game. Something that we really haven't talked about in this thread is special teams. A lot of you were concerned in the preseason since that unit looked shaky at times but I (and others) said not to worry because they weren't playing with their real special teams unit, it was, an no offense to any of those guys, a bunch of scrubs who are looking for new careers right now. Monday night the unit looked good, McKenzie is going to break open some big returns this year and if we can get one of those tomorrow it would be huge for us, he doesn't even have to go all the way just get us great field position. Our defense led the league in three-and-outs the last two years, if we can do that against Dallas and put them in bad field position regularly that will go a long way to winning this game. It's awfully hard for teams to put together long drives against us, especially at home. And the Cowboys aren't a team that break open a lot of big plays, especially if Talib can shut down or at least mitigate Dez as I expect him to. @AnAngryAmerican I agree about Dallas not breaking big plays. I expect that they will have a few long, time killing drives. But I would be absolutely shocked if THIS defense gave up more than 2 touchdowns, as long as the offense doesn't give the 'boys a short field. Well on paper the Cowboys get to be road favorites, something that's rarely seen unless NE comes to town. It's not hard to see why - their strength is their OL and Elliott, and we have a really hard time stopping the run vs. good running teams. While last week was encouraging from that perspective, now we face the real test. 1. DT and Sanders vs. that secondary - probably their best CB is out in Scandrick. DT and Sanders were fine against a near-elite Chargers CB tandem of Verrett and Hayward - this matchup is weighed heavily in their favor. The only true defense the secondary has are twofold - getting early pressure on Siemian, and DC Rod Marinelli being able to disguise the coverages. Marinelli is really underrated, because the talent on that D is pretty subpar except for Sean Lee right now, yet he gets average to better-than-average run D, and the pass D is always better than the sieve-like ranking their pure physical talent hints at. Still, for us to win, DT and Sanders have to be 2 of our 3 best skill players out there this week. 2. Our T's vs. their DE's - Simply put, their DE's aren't nearly as good as Bosa/Ingram. Our T play has to be miles better than last week in pass protection. Give Siemian more than 2 secs to make a read. 3. FS Simmons and SS Stewart in run support - they were really big vs. Chargers, filling the lane and stopping MG3 at least 4-5x from breaking big runs after being in the clear the first 3-4 yards. I'd expect at least 7-8 of those opps with Zeke Elliott. It's a trial by fire for Simmons, but I expect a healthy Stewart to be up to the task - such a sure tackler. The problem is that I don't know if Stewart is fully healthy, having tweaked his groin, and coming off a short week. We really need him. 4. One of our TE's has to come up big - we had 4 big plays from all 3 TE's, which works. I don't know who it is, but the DAL D has traditionally been one of the worst, if not the worst D's against TE's. We don't have an alpha TE, but we need someone to exploit this matchup. 5. Von/Barrett/Edabali (yes that guy) getting pressure on Dak - Prescott won the MNF game, but Giants pressure was evident, the DAL OL is weaker in pass pro with Doug Free gone, and it showed. Dak's throws for the first 3 Q's were high and erratic - he settled as the game wore on, but Dak's success has come largely with throwing off play-action, or in situations where the run has to be respected, leading to very clean pockets and lots of time. We can't afford to do that. As @iLikeDefense mentioned, we can't really expect Von & Barrett to play almost every down - we need a 3rd EDGE to step up until Ray is back. Edebali flashed in the PS and against first-teamers, hopefully he can flash again. It would be great for Von to break his 5-game sack-less streak (although make no mistake, he's an absolute terror in the run D, he covers half the field himself, total disruptor, and he's getting close to the QB, and veering blocking off other guys, nice to see Barrett get on the board early). I'd like to think we can control the run game vs. their D, but they're fundamentally sound, and they've given much better running attacks fits. So while stopping their run game is crucial on our D's end, it's being able to expose their weak secondary (especially with no Scandrick) that's priority A for McCoy & Musgrave. On paper, it looks like a tight victory for DAL, but I can't ever pick against my guys when we have this much hope, and it's at home. I do think we need to score more points to win, more than what the oddsmakers say. 27-24 DEN. Very good news that he cleared protocol. 1. Their OL and Elliot were terrific in the run game last week against an elite run D. The Giants have a run stuffing DL that was 2nd overall, and while they lost Jonathan Hankins to FA, had most of their core intact - and DAL really took over the game. On paper, our success last week pales in comparison to the success DAL had vs. a top run D. Now, it's fair to say the Giants O was so bad, that the DAL O wore down the Giants too. But in 2016, the Giants D really controlled DAL & Elliott, not the case last week. The one advantage that we have that could make a huge difference to bridge the gap is being on home turf - the noise can be so loud that the O is a half-beat late on getting off their block - and that half beat advantage can often be enough to overcome the talent difference. But make no mistake, without that, it's hard to see us stopping that run game in a neutral setting. 2. Their pass pro was more succeptible. And for 3Q, Dak left a lot of high throws with more pressure. His great 2016 was aided by having clean pockets. With 2 new guys on the OL, it will be interesting to see if teams can get to Dak, and see how he does. He could be fine, but it's worth watching how pressure affects him. 3. Their WR's are predictable - Beasley is a great slot guy, but Harris is obviously elite at D there. Talib should match up well with Dez. Once again, Roby is the key - because T-Will vs. him likely gets a fair number of looks. Having Simmons at FS really improves our pass D vs. TE's, which is important given the role Witten plays. Hopefully we do not play Todd Davis in any downs where he could be targeted short, that's a major weakness for us there. 4. DAL's run D is really underrated. Someone mentioned it in the Chargers Week 1 GD thread post-game, but running away from Sean Lee rarely works. You run to him, and put a lineman on him. He chases down anything on the back side of plays much like how Von does. Having Leary back really helps us, we don't want to go in thin on our talent-poor unit (before people take umbrage, I'm talking about our overall active group - any starter goes down, a huge dropoff in playing ability occurs). I'd hope we get away from Max Garcia as co-starter. End the madness, let's go with Barbre. Bolles' pass pro was significantly better with him there, and more time as a unit will improve their play overall. 5. DAL's pass D is defended by disguising their coverage, talent-wise they are just a meh secondary. If we are predictable, it plays into Rod Marinelli's genius in disguising looks (and he really deserves the label, because the actual physical talent on those D's is far below the level they play at year in and year out). So having downs where they can't be pure pass-D focus is one key, having formations that require DAL to give away info is another, @broncos_fan _from _uk outined this really well. Losing Scandrick really thins them out - so hopefully we attack their weakness with our strength (DT & Sanders). As @broncos67 mentioned, the Giants had the worst plan to attack the secondary - short crossing routes and flat stuff plays into their strengths. It's also why OBJ has burned them in the past in memorable games. As I mentioned before, the other weakness is TE defending - we have to get at least 4-5 catches with 2-3 seam busters this week, they will be there. Hopefully Siemian's ability to push the ball downfield to DT, Sanders and our TE's continues Week 2. 6. ST-wise, their K Dan Bailey is clutch - historically accurate, and long-range. They lost the game, but look back at the NFC playoff game with GB, major pressure kicks. We won't get a break like we did vs. Chargers if it comes down to that. We are going to get smoked in this game.